We have ensemble a symphony of enchanting piece to restyle your senses. Be your unique style and design diva with this Red Colored Party Wear Embroidered Velvet Suit.The un-stitched suit is made from velvet fabric and has gold embroidery all over which looks so appealing to the eyes.the suit comes along with un-stitched matching santoon bottom and contrasting color dupatta.the suit is perfect for ladies who want perfect balance between simplicity and heavy embroidered outfits. 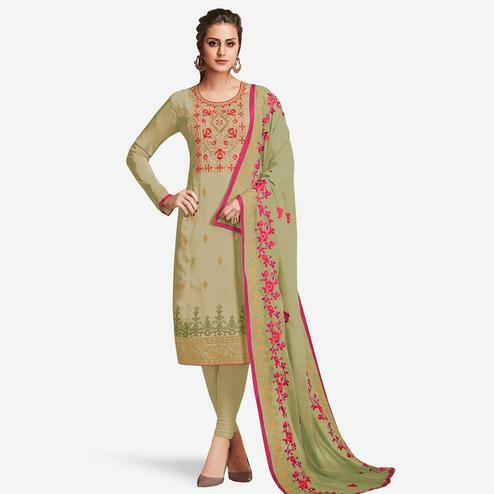 you can stitch this suit in a patiala suit style to get the desired look.you can wear this at parties,engagement ceremony,festivities and occasions.pair this with beautiful gold jewellery and you will look stunning.